One of the most beautiful and sophisticated cities in the world, Milan is a popular destination for visitors for both business and pleasure. The city is Italy’s main commercial and financial centre and one of the fashion capitals of the world. It has a host of landmarks, theatres and museums, which makes it one of the most popular locations in Italy for tourists. And with many things to see and do, it’s hardly surprising that some of the main attractions such as the famous Leonardo da Vinci painting, ‘The Last Supper’ can become very crowded. Milan is also home to two of Italy’s most famous football teams, Inter Milan and AC Milan. These two teams draw in a huge number of visitors from all over the world and it is no surprise that their football stadiums get particularly crowded, too. If you are lucky enough to be staying in one of the beautiful apartments in the city, but don’t want to have to jostle for elbow space, there’s still plenty of things to see and do. Here are some of the best attractions and activities away from the tourist trail. The vast majority of tourists head north of Duomo but a little region of the city known as Brera offers an insight into the real heart of the city and captures the very essence of Milan. Away from the hordes of sightseers, it’s possible to enjoy a stroll through the historic winding streets and alleys, and enjoy a fresh pastry from one of the many bakeries or in the evening, take in some jazz whilst sipping aperitifs. And whilst the Cathedral may not be in this part of town, there are plenty of lovely churches dating back centuries, built in the traditional Romanic style, for visitors to explore. Brera is known for its romantic and Bohemian atmosphere, with street markets, art galleries and even an astronomical observatory. You can even find a fortune teller booth at which you can find out what the future holds for you! The Brera Art Gallery and Brera Academy of Fine Arts are well worth a visit and are located in the Palazzo Brera, where Milan’s botanical gardens are also found. For visitors who fall in love with the relaxed ambience, there are plenty of apartments in the Brera region for holidaymakers to rent. Whether you like split level, spiral staircases or parquet flooring, there is a style which suits everyone and means you can simply wander out of your apartment to relish the sights and sounds of the Milan the locals enjoy. 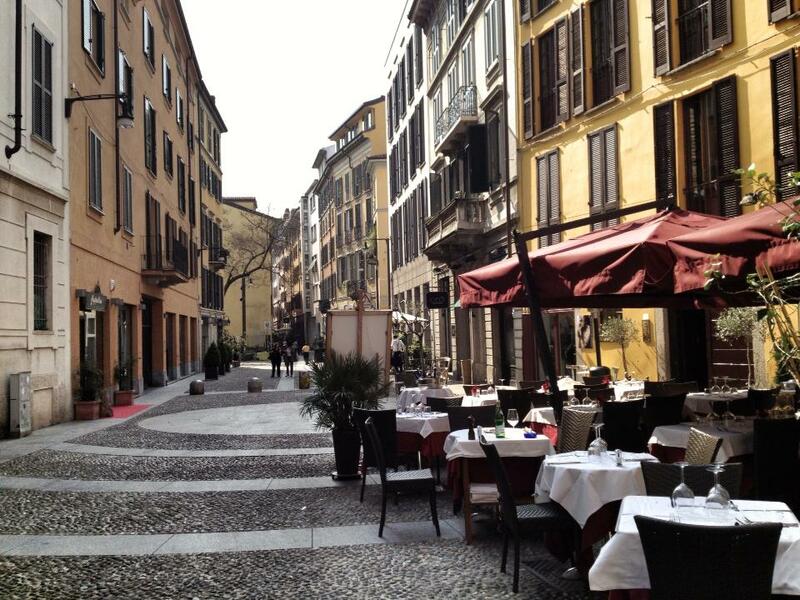 TB tip: Stay at Hotel Milano Scala in the Brera area. This luxury boutique hotel is a converted 19th century palazzo with gorgeous interiors and amazing food. When compiling a list of desired attractions, a cemetery doesn’t normally feature too high on most people’s lists. 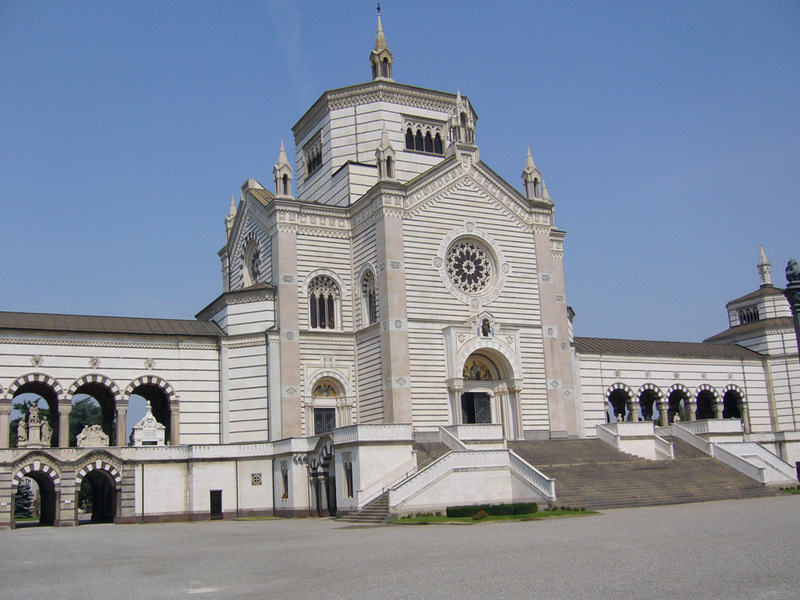 However, the Cimitero Monumental (Monumental Cemetery) is a spectacular place to visit with architectural tombs and sculptures and a huge number of influential Milanese people buried there. Opened in 1866, there is a vast range of different styles on display, from Greek sculptures and obelisks right through to contemporary design. The site is famed for having an array of artistic tombs and discreet posters dotted around the venue help to identify the places of rest which are likely to be of the most interest for visitors. As well as a marble and stone Hall of Fame-type neo-medieval entrance, there is also a memorial to 800 Milanese who died in Nazi concentration camps as well as an exhibit showing the history of the site, complete with two battery-powered hearses which were run in the 1920s. Milan’s Parco Sempione is a huge park in the heart of the city, next to the Sforza Castle gardens. While the gardens and the adjacent Arch of Peace are two of the most popular landmarks in the city and can become quite crowded, it is possible to enjoy some fresh air and quiet time in the park soaking up the beauty of this wonderful city. The park was designed to allow people to enjoy stunning views of the monuments; if you feel like braving the crowds for a while, you can venture over to the Palace of Art of the Arena Civica – the public aquarium. 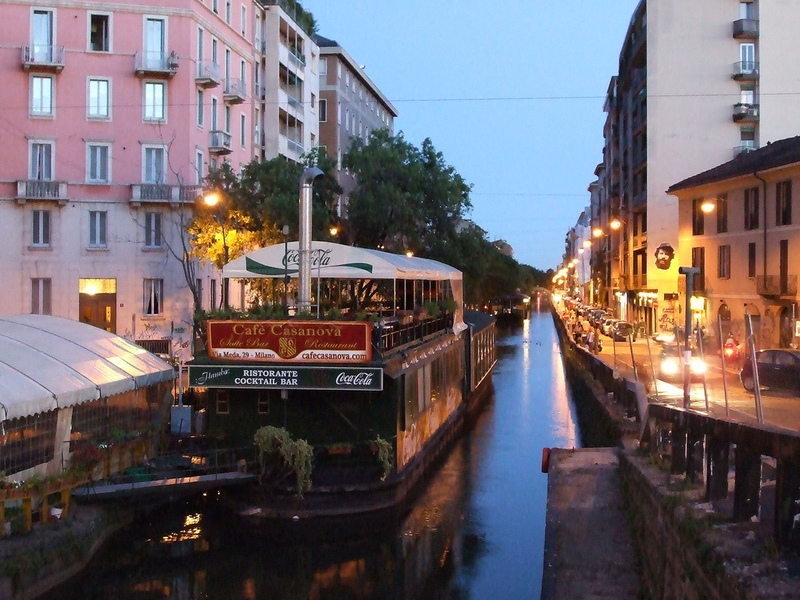 If you are looking to enjoy relaxing days wandering around the city, but were hoping to hit on a lively nightlife, Navigli could be just the place for you. Located just south west of the popular Duomo area, it offers visits a quaint view of Milan during the day. Holidaymakers will be able to easily picture the city that Leonardo da Vinci experienced, with provincial neighbourhoods and long boats quietly winding their way through the canal system. With beautiful boutiques and gentle, easy ambience, this is the place to stay if you want to see a different side of Milan. But at night the district is transformed, like a butterfly emerging from its cocoon, when the bright lights create a beautiful and welcoming atmosphere that’s difficult to resist. With all kinds of music from jazz to dance, there are plenty of bars and restaurants large and small which offer delicious food much more cheaply than in the centre of the city. Happy hour lasts for more than four hours in most places, which means you can enjoy a night out at the fraction of the price without having to compromise on the venue. Of course, staying in Navigli is a great idea if you are planning on sampling their restaurants, pizzerias, bars or cafes. Because the district is so historic, there’s a wonderful choice of apartments, from the more traditional right through to the more modern. The opportunity to absorb magical evenings in Navigli without having to venture far from where you are staying is impossible to ignore. TB Tip: Try Ristorante Osteria di Porta Cicca for lunch. Lots of interesting breaded fish and tiramisu to die for! The Porta Venezia district is a popular spot for locals and is known as Milan’s casbah, or ‘African district’, due to its long history of immigration. It is the city’s main multi-ethnic area and is full of fantastic restaurants offering a range of international cuisines including Asian, African and South American. 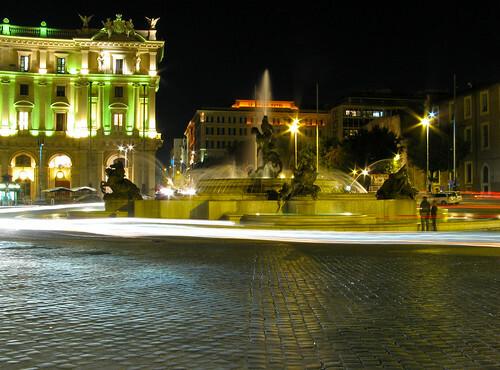 The area is one of the historical gates to the city but is now a popular location for trendy underground nightclubs. Milan is known for its stunning architecture and what better place to sit down and enjoy the spectacular surroundings than in one of the pretty piazzas? Unfortunately, some of the squares, such as the popular Piazza della Scala and Piazza del Duomo, are nearly always crammed full of people. Whilst they are still worth a visit, it may not provide the peaceful relaxing experience that you are looking for. An alternative is a visit to the pretty Piazza Fontana. Situated in the Duomo region, it features a fountain from which the square gets its name, lots of benches, greenery and trees. A historical site which was the target for a terrorist bomb attack in 1969 which killed 17 people, the piazza offers a quiet oasis away from the throng and noise. 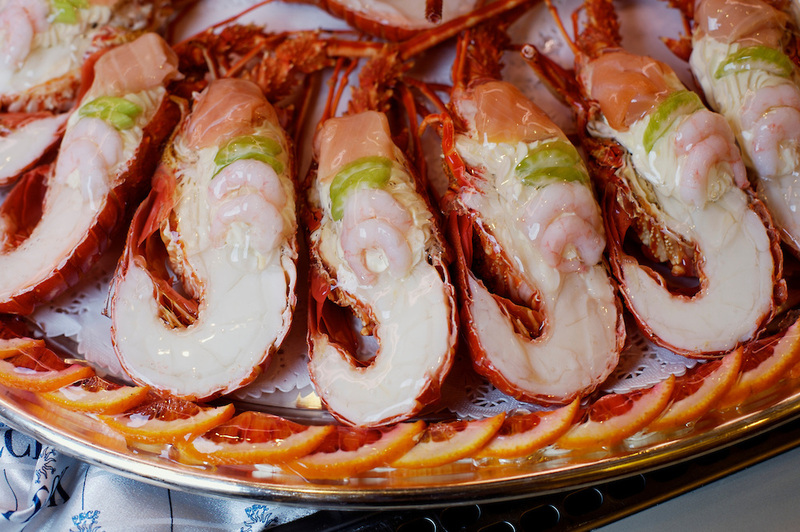 They say that if you want to eat the good food in a city, you should follow the locals – in Milan, the locals tend to head to the backstreets behind the Duomo. Here you will find local delicacies called panzerotto, which are fried dough balls stuffed with cheese and tomato. These delicious treats are perfect for a quick snack but, for something a bit more filling, visitors can indulge in an Italian special deep-pan pizza or enjoy some delightful risotto. Cassoeula is another Italian favourite and is a slow-cooked sausage, pork ribs and cabbage dish. If you want international cuisine, then you can find superb sushi bars in the city serving mouth-watering dishes such as chirashi. Milan offers the chance to experience Italy at its best, with stunning architecture, delicious food and designer shops. 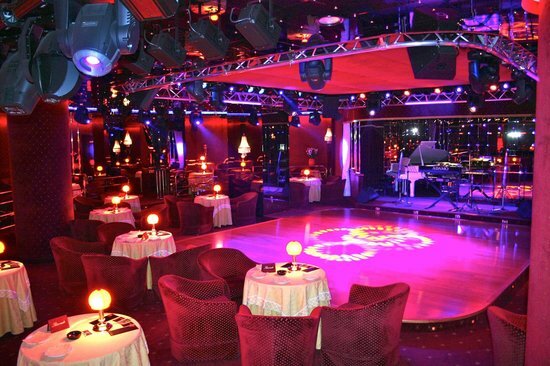 However, you don’t have to fight the crowds in order to have a great time. Whether you opt to stay in a loft apartment in Brera or a Baroque style place in Navigli, you can experience the best that the city has to offer. Despite being one of Italy’s main cities, Milan has plenty to offer those who like to enjoy the quieter things in life. There are many quaint streets with fabulous bars and restaurants away from the maddening crowds. As long as you know where to go, you will have a fantastic time in Milan. It would be interesting to get a feel as to how Milan compares to other cities in Italy. I saw a guy discuss his travels through some parts of Italy on Travel Explosion the other day. However, I will be going to Rome and would like to get a comparison of the different cities and their differences. I’ll check back soon so if anyone has been to Italy please comment. Milano is quite “compact city”. Better to rent an apartment in the central location. If somebody needs help you can contact me. Thanks! Brera is one of the most sought after areas in Milan and I love taking our clients wanting to rent an apartment in Milan there. It’s a favorite with both locals and tourists, especially in the summertime when you can stroll in the pedestrian areas or enjoy an aperitivo at a table that gives you a front row seat for the best people-watching.